Politics Professor Matthew Goodwin, from the University of Kent has said he would “put £10 on Boris” to be the next Conservative leader because he is “popular in the grassroots”. However, he added that he thinks MPs could “conspire” to keep Boris Johnson off the Conservative leadership ballot. Read more: Will the meaningful vote go ahead? Professor Goodwin told talkRADIO’s Julia Hartley-Brewer: “If we were relying just on the Conservative membership and on how they voted, I would put £10 on Boris. “He is still incredibly popular in the grassroots. The problem that Boris has is that he has lost a lot of capital within Parliament. “In terms of how the leadership election works, it is actually the MPs who would decide the final two on the ballot. Professor Goodwin added that it was possible a new leader would not be a main Cabinet minister. “I don’t think Dominic Raab will get there because I don’t think he has got sufficient charisma,” he said. “I think he is tainted by being unable to redirect the deal and I think we may be in a position where the next leader of the Conservative Party may be lower down the rung. 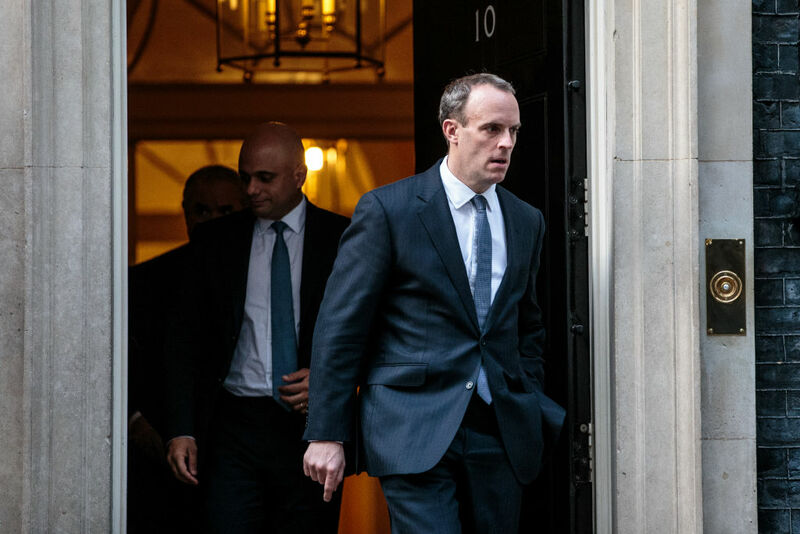 Raab, the former Brexit Secretary quit Theresa May's cabinet in November over the EU Withdrawal Agreement.